The description could fit Hakimi. On the way to earning her bachelor’s degree in biomedical engineering, which she will receive this May, she has excelled in a range of challenging pursuits in school and beyond. 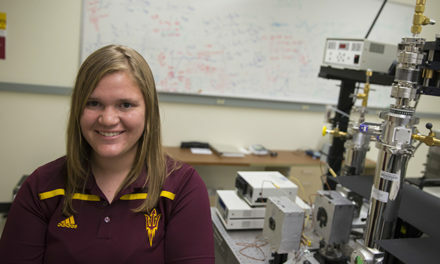 A graduate of Mountain Pointe High School in Ahwatukee, she’s been a student in ASU’s Barrett, the Honors College, and among the top performers in the School of Biological and Health Systems Engineering, one of ASU’s Ira A. Fulton Schools of Engineering. Outside of coursework, she’s assisted in research in a range of areas – among them, robotics, neuroscience, physiology, and medical treatment and diagnostic devices. 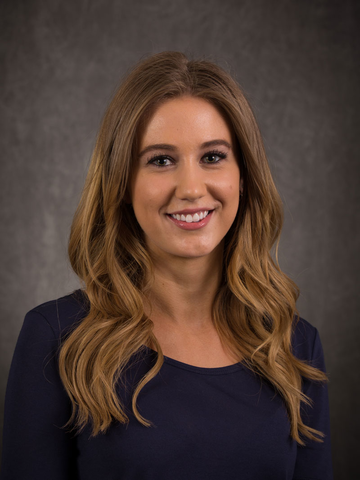 She won an ASU Presidential Scholarship and an Intel Corporation International Scholarship competition, and was a Mayo Clinic Premedical Scholar. Hakimi’s accomplishments helped earn her a prestigious fellowship from the Whitaker International Fellows and Scholars Program, which sends emerging leaders in bioengineering or biomedical engineering overseas to undertake projects designed to build their expertise in these fields. The fellowship will enable her to study at the prominent Brien Holden Vision Institute affiliated with University of New South Wales in Sydney, Australia. In pursuit of a master’s degree, she will conduct research in vision care improvement in hope of using that experience as a step toward a medical career specializing in eye care. On top of all that, she made time to serve as a student mentor, co-found a student group whose members act as ambassadors for School of Biological and Health Systems Engineering, and co-found a student venture to develop technology applications to help consumers do comparative shopping for health care providers. The latter project won a business startup grant from ASU’s Edson Student Entrepreneur Initiative. She has worked part-time jobs at a local hospital and a medical center, and volunteered as an ASU education outreach camp counselor and for an international nonprofit that delivers medical supplies to developing countries. In the last year she co-founded – and is working to expand – a student group called Camp H.O.P.E. (Helping Orphans Prosper through Education) that organizes and runs camps for orphans and foster children designed to spark youngsters’ interest in higher education and careers. Hakimi also was an ASU representative for Unite For Sight, which works to prevent blindness in Africa. 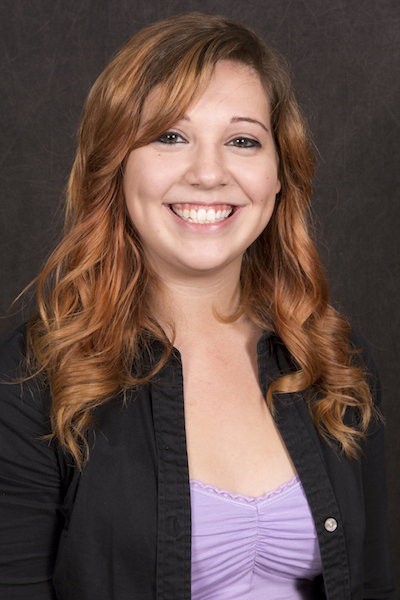 She founded an ASU student chapter of the organization. The faculty advisor for the student chapter is Jeffrey La Belle, an assistant research professor in biomedical engineering, and director of the lab in which Hakimi has gotten much of her research experience. La Belle is the mentor she lauds for giving “110 percent effort” to his work. He sees the same drive in Hakimi. Far afield of her other endeavors, Hakimi founded the Olympic Games-style Team ASU Taekwondo, which gave demonstrations and participated in competitions in the Korean martial art of self-defense. “My parents wanted me to know how to protect myself,” Hakimi says, explaining why she began learning Taekwondo at eight years old. She eventually earned a Black Belt. Hakimi credits much of what she has accomplished to those in the ASU community who have guided her and supported her efforts. There seems to be little chance of that happening.